If you're already at a show, you need to connect to the Woody's Bingo WiFi signal (the password is "playbingo" without the quotations). Then click here to join the lobby. Woody's Bingo is the world's first and only fully-automated live Bingo experience! You can play on almost any WiFi-capable device, such as a phone, tablet, or laptop. As you play, you'll win gift cards good at the venue where you're playing! Every game is FREE TO PLAY, so find a game and start winning those prizes tonight! If you're already at a show, click here to join the lobby. You can also check out Where to Play and FAQs! 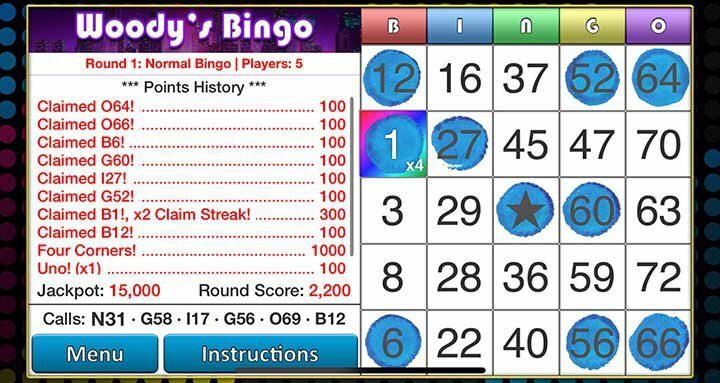 If you own or manage a venue and would like to try out a FREE TRIAL of Woody's Bingo, click here! If you're interested in our lucrative sales opportunities, click here! Not only can you win awesome prizes by playing Woody's Bingo, but you can also make significant contributions to charity!